Many of you are aware that Worshipful Brother John Whitworth holds a concerts at the Masonic hall, Pontefract where he provides excellent entertainment for the giveaway price of £14.50, including supper. Herewith is a flyer to cover the next two Concerts featuring Groups from the Sixties, need I say more. 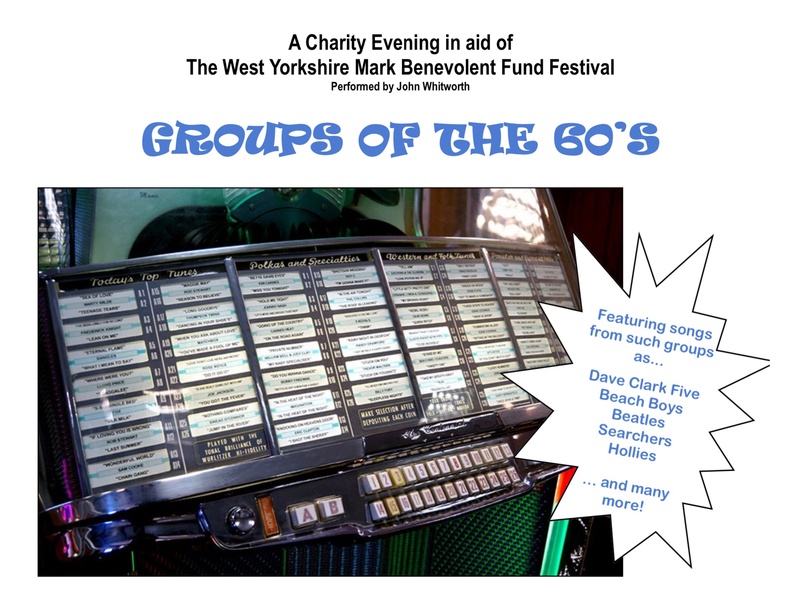 For most of us this is the era we treasure and I have no doubt that it will be a resounding success..John has undertaken numerous charitable functions, for the West Yorkshire Mark Benevolent Fund and, undoubtedly this will not disappoint- BOOK YOUR SEAT NOW..